Ben Henderson - Fede defeated Anthony Pettis - MrSwagger in the 1 round via flying guillotine choke in 1 rond GF !! now ill try to defend that belt !!! sub (arm triangle choke ) RD1 Good fight! Nick Diaz (EL_TERRIBLE_0069) def. BJ Penn (MrSwagger) via split dec. good close fight. 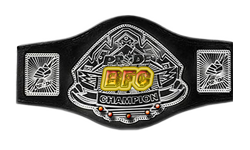 harshil123 (frankie edagr) defeated el_terrible_0069 (takanori gomi) via unanimous decision. Antonio Nogueria (Kush) defeats Roy Nelson (StolenLegacy) via Omoplata in the first round. I forfeit to justin4288 because he's awesome ad deserves the win, we had a million matches an all dc'd but he won the majority of them so I'm surrendering and backing out of lw good stuff Justin keep it up dude! That was an awesome fight OG! I was defiantly scared of the subs n was body hunting, think I did an ok job for what it was ;D good fight man! great bro another win this card for Sukata Academy JJ !!! Fede - Dos Santos defeated Sky-rider_123 - Cheick Kongo via deadly left Upercut in the 1 round GF good skills !!! Martin Kampmann (Animosity1oAK) def. Rory MacDonald via Arm Triangle in the 3rd Round. We did a first fight that was so laggy that we had to redo it, then another redo because the flash KO by me the next time was so quick and random. Good fights though man hahaha. ??? what are you here talking for hen do if you're not in this league? bro you don't understand?? you didn't resign the league and you are inactive here since 2 weeks !! !